When I told my mom I was reading The Paying Guests she said, "ooo, that book was weird". I have yet to decide if I fully agree with her, however, the storyline is certainly out of the ordinary. The novel centers around Frances, a lesbian, in the 1920s. We follow her through an affair and a murder trial. My favorite part of this book was reading about being a lesbian in the 1920s. I found this particular aspect of the novel very intriguing and I wish it was explored in further depth. Instead, the novel focuses primarily on Frances's lusty affair. 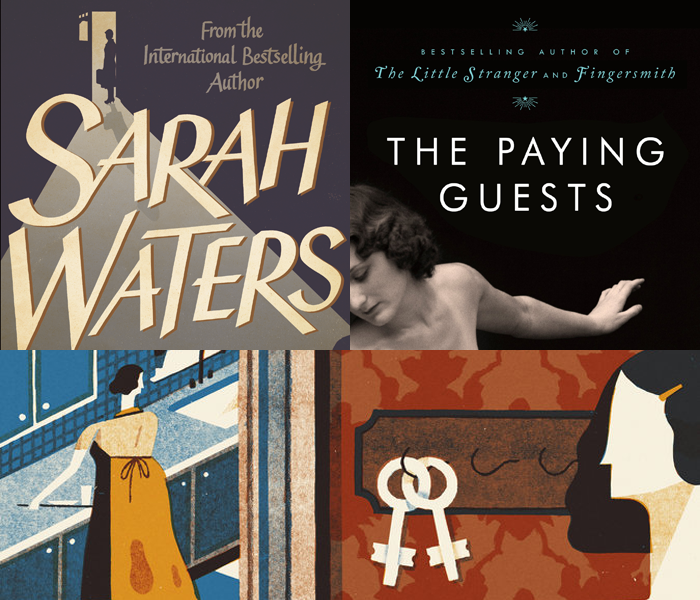 I did find that The Paying Guests was very easy to read and I finished it rather quickly - especially in comparison to my last unbearable reading experience. NPR published a book review on the novel that states that the last 100 pages or so, "feel padded". NPR, I have to disagree - I found the book to be just the right length. I also particularly enjoyed how Sarah Waters ended the novel - she leaves the reader in a precarious spot, questioning what the future will hold for the characters. In my mind, Sarah has only breached the surface of an incredibly interesting topic. I dare someone to further explore the social dynamics of being a lesbian in the 1920s - that's a book that I would really love to read.